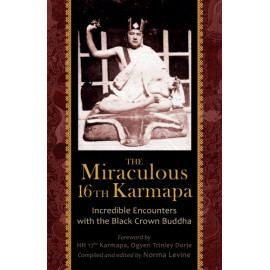 This book gives us a rare and intimate insight into the personality of the man who was the 16th Karmapa. His mere presence, akin to a powerful force of nature, deeply affected those around him; his cosmic laughter, like a lion’s roar proclaiming supremacy, could be heard streets away. Who was this extraordinary individual with the spiritual signs of a buddha, the Sixteenth Karmapa, Holder of the Black Crown? Norma Levine has travelled to Tibet, India, Europe and North America to record the stories of this memorable man and the impact he had on the people who met him. His Holiness was the greatest enlightened lama I ever met… Many lamas of his time were in awe of his all-seeing wisdom, endless compassion, and his prodigious powers of clairvoyance and prognostication, particularly his obvious ability to see through people. 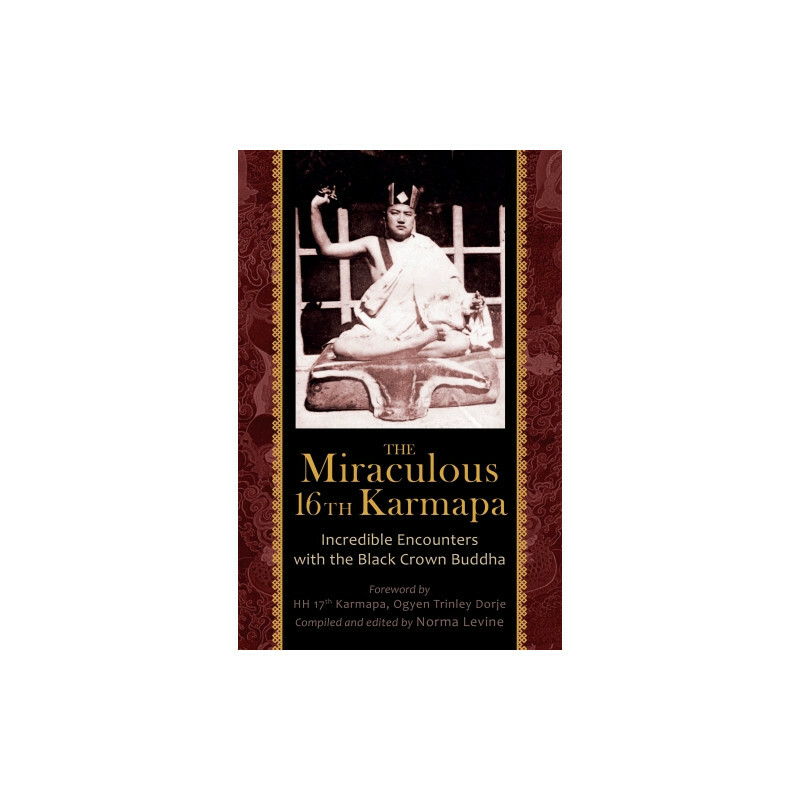 This book gives us a rare and intimate insight into the personality of the man who was the 16th Karmapa. His mere presence, akin to a powerful force of nature, deeply affected those around him; his cosmic laughter, like a lion’s roar proclaiming supremacy, could be heard streets away. He was able to teach anywhere, at any time, when the moment was right, and was followed wherever he went by his beloved entourage of birds who traveled with him and sang his mantra: Karmapa Khyenno, Master of Activity, Be With Me. The Miraculous 16th Karmapa offers stories recounted by Western students and prominent reincarnate lamas who had meaningful contact with the 16th Karmapa in both India and the West. In the context of the freedom and spontaneity of Western culture in the 1960s, the profound mind transmission of this remarkable master transformed the lives of those whom he encountered. Each story is a spiritual adventure; vibrant, authentic, sometimes shocking, but always inspiring. Norma Levine is a lifelong Buddhist practitioner and the author of Blessing Power of the Buddhas: Sacred Objects, Sacred Lands; A Yearbook of Buddhist Wisdom; and Chronicles of Love and Death: My Years with the Lost Spiritual King of Bhutan. Disclaimer: The opinions and views expressed in the book are the opinions of the respective authors and do not necessarily represent the views of Shang Shung Publications, the Dzogchen Community, or Chögyal Namkhai Norbu.